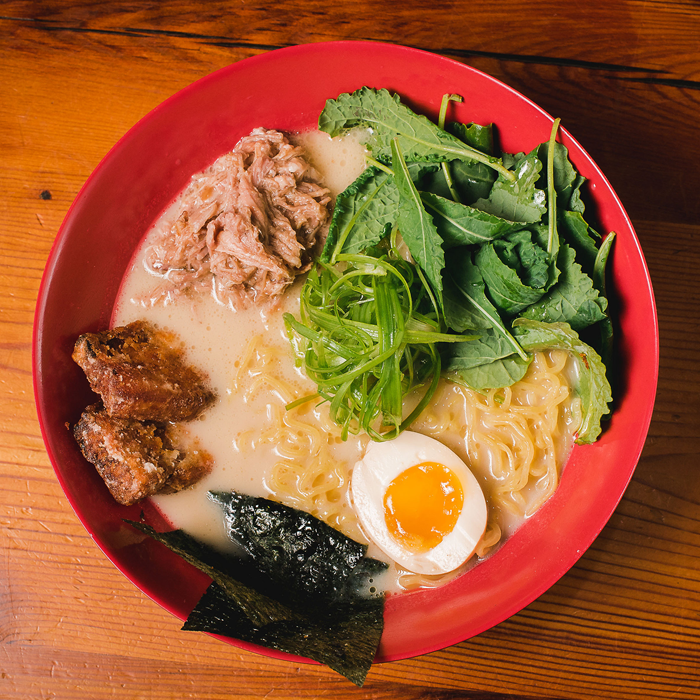 Ejji Ramen is so much more than just a ramen bar. We serve flavorful, upscale food with a downhome vibe where you feel welcome. It is a place where you can explore exotic spices and savory flavors, where your senses explode and you can indulge without guilt. Each ramen bowl begins with the broth and our menu of seasonal ingredients allows you to get creative or rely on your favorite dishes. Ejji challenges the typical ramen restaurant by infusing our Malaysian heritage into a menu of home-cooked Asian comfort food. 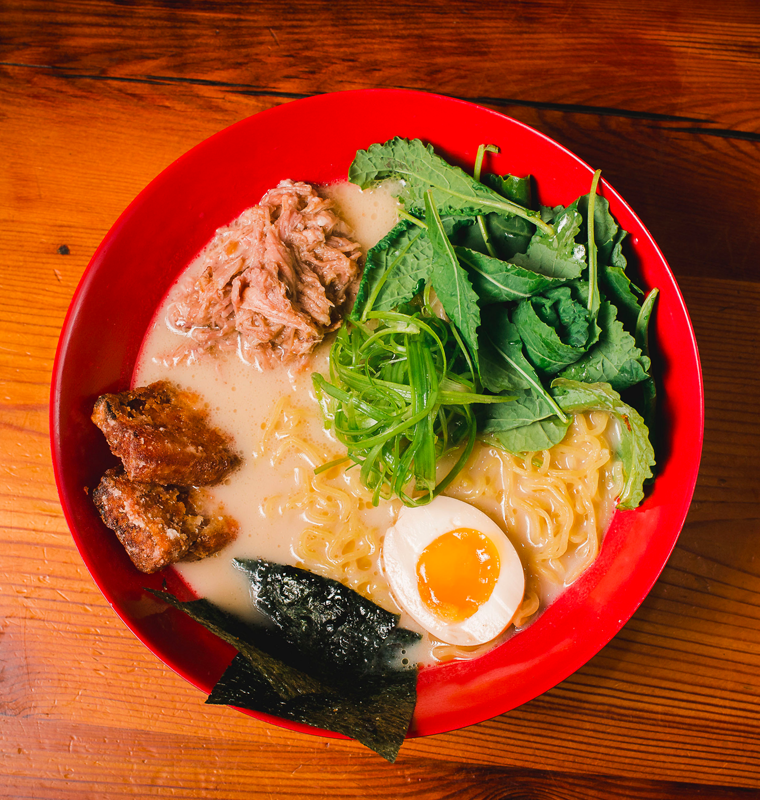 At Ejji Ramen, we don’t just sell umami filled ramen bowls, rice bowls, and buns… we sell YUM. One of our favorites quick dinner spots. Great pork tonkatsu ramen-perfect for a cold winter’s day. Do try to roti canai, it’s hot and tasty-though it’s super oily (not a diet food!) Kids do well with plain noodles in broth. More than enough for one youngster – possibly good for 2 picky eaters. I always have a delicious meal when I come here. The food is adventurous, not your classic ramen, rather with a Malaysian twist…Great service too – the passion comes through in the product. One of the best ramen I’ve had. The pork is very soft and tender. You can create your own bowl of ramen there, but I am telling you, get this combination- tonkotsu broth with thick wavy noodles, pork belly, and yuzu soy sauce and add whatever other healthy green toppings you want. It is incredible. This wasn’t my first Ramen experience but it’s certainly the best to date and second place isn’t even close. As a creature of habit I always get the same… Tonkotsu Ramen again please! The pork bone broth (pork bones simmered for 24hrs) just has a rich body healing taste that I can’t do without. It’s perfect and not spicy. My first ramen bowl was excellent. The waitstaff was very helpful navigating me through my first order. I must say the flavors were simply delicious and fresh. My son and I enjoyed the ease of order and the great tasting broth. The experience was comfortable with a relaxed atmosphere. I’m food allergic to many things so when I mentioned this, one of the chefs and one of the staff immediately came over to assist with my order decisions. That made me very confident that this restaurant was safe for me. Everything was delicious. The service was prompt and wonderful.